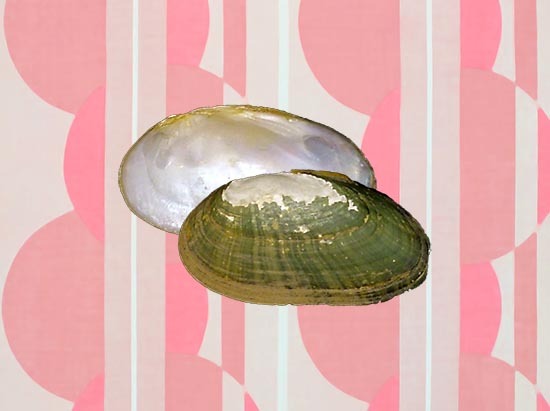 The October 2018 Mussel of the Month is Paetulunio fabalis. Paetulunio is a monotypic genus endemic to eastern North America. USNM 85270a. Ohio River; T.G. Lea! (type). P. fabalis is the sole species of Paetulunio, another new genus recycled by Watters (2018) from the broken remains of Villosa. So, far we have already covered Leaunio, and we still have Cambarunio and Sagittunio to go. Generic revisions have kept us busy this year. Since the beginning of the Universe, there have only been a handful of studies that provided hard phylogenetic evidence for the evolutionary relationships of P. fabalis. Ortmann's (1912) anatomical authority was the basis for the pre-2018 concept of Villosa. He called them all Micromya. Among published works, there have been various representatives of the old Villosa included in phylogenetic analyses. But, we know of only three published works that included P. fabalis with at least one other former genus-mate: Zanatta & Murphy (2006), Inoue et al. (2013), and Lane et al. (2016). * The most comprehensive analysis is the “unpublished” (but widely internet available) dissertation of Kuehnl (2009). Across the board, the upshot is fairly consistent: P. fabalis has been found to share a more recent common ancestor with various other mussels than any of the old Villosas. So, it is currently treated as its own monotypic genus. The type species of Micromya is Unio lapillus Say, 1831, which has been regarded as a junior synonym of P. fabalis for more than 100 years. However, Micromya is preoccupied by an older use of the name for some wood midges. * Lane et al. (2016) was not sufficiently rooted to actually provide a test the relationships of P. fabalis to the other species of Villosa sensu lato. Kuehnl, K. 2009. Exploring Levels of Genetic Variation in the Freshwater Mussel Genus Villosa (Bivalvia Unionidae) at Different Spatial and Systematic Scales: Implications for Biogeography, Taxonomy, and Conservation. Ph.D. Dissertation, The Ohio State University. Lane, T.W., E.M. Hallerman & J.W. Jones. 2016. Phylogenetic and taxonomic assessment of the endangered Cumberland bean, Villosa trabalis and purple bean, Villosa perpurpurea (Bivalvia: Unionidae). Conservation Genetics 17(5): 1109-1124. Watters, G.T. 2018. A preliminary review of the nominal genus Villosa of freshwater mussels (Bivalvia, Unionidae) in North America. Visaya, Supplement (10). Conchology, Inc., Lapu-Lapu, Philippines. 140 pp. Zanatta, D.T. & R.W. Murphy. 2006. Evolution of active host-attraction strategies in the freshwater mussel tribe Lampsilini (Bivalvia: Unionidae). Molecular Phylogenetics and Evolution 41(1): 195-208.